Dates are intended as anywhere on Earth. CP 2017 is also made possible by our generous sponsors (below). Contact us if you intend to become one. The Association for Constraint Programming aims at promoting constraint programming in every aspect of the scientific world, by encouraging its theoretical and practical developments, its teachning in the academic institutions, its adoption in the industrial world, and its use in the the application fields. The Association for Logic Programming was founded in 1986, with the mission to contribute to the development of Logic Programming, relate it to other formal and also to humanistic sciences, and to promote its uses in academia and industry all over the world. 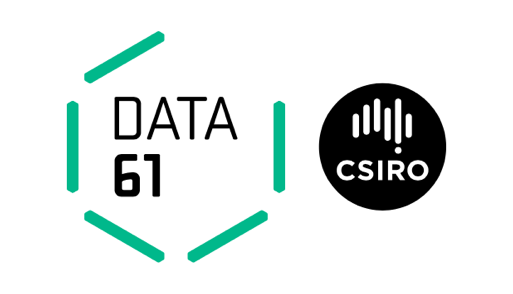 CSIRO Data61 is Australia’s leading digital research powerhouse, offering the research capabilities, IP and collaboration programs to unleash the country’s digital and data-driven potential, with a global context. By driving collaboration across industry, academia, government and the startup space, Data61 is able to help existing industries transform, and act as a catalyst in the creation of new technology-based industries. Monash University was established in Melbourne, Australia in 1958. We are a youthful organisation, enthusiastic, optimistic and accessible. We believe quality education and research can change the world for the better. Our researchers make highly significant contributions that bring real and positive change to the lives of people all over the world. The University of Melbourne enjoys an outstanding reputation with world rankings consistently placing us as Australia’s leading comprehensive research-intensive university, and one of the world’s top 50 (source: Times Higher Education World University Rankings 2015 – 2016 and Academic Ranking of World Universities 2015). Melbourne attracts the best and brightest students and researchers and, with a history of over 160 years, we occupy a special place at the heart of our city’s cultural scene. 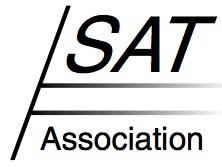 The aim of SAT Association is to promote science and research, in particular with regard to the Satisfiability Problem and related areas such as Formal Verification and other applications of SAT, Proof Complexity, Serial and Parallel SAT Solvers, Satisfiability Modulo Theories, Quantified Boolean Formulas, SAT Algorithms, MAX-SAT, MUS Extraction, and SAT Encodings. This is realized by overseeing the organization and location of the series of annual conferences known as the International Conference on the Theory and Applications of Satisfiability Testing, promoting research in the design and analysis of algorithms for Satisfiability that should significantly impact one or more practical applications, publishing the online version of the Journal on Satisfiability, Boolean Modeling, and Computation (known as JSAT), and representing the SAT community in other scientific forums. Satalia (registered as NPComplete Ltd) is a rapidly growing spin-out company from UCL that specialises in machine learning, optimisation and Artificial Intelligence products and services. Its flagships platform is the SolveEngine, that provides a conduit for academically developed algorithms into industry as Optimisation-as-a-Service. Welcome to the City of Melbourne. We are the local government authority for central Melbourne and the surrounding suburbs. Find information about council services for residents, businesses, tourists and the overall community. IBM Research is one of the world’s largest and most influential corporate research labs, with more than 3,000 researchers in 12 labs located across six continents. We play the long game, investing now in tomorrow's breakthroughs. Watson, the world's first cognitive system, is the fruit of over 50 years of IBM research in artificial intelligence. Today, it forms a core part of IBM's business. Our scientists are charting the future of artificial intelligence, breakthroughs like quantum computing, how blockchain will reshape the enterprise and much more. We are dedicated to applying AI and science to industry challenges, whether it’s discovering a new way for doctors to help patients, teaming with environmentalists to clean up our waterways or enabling retailers to personalize customer service. IBM and the IBM logo are trademarks of International Business Machines Corp., registered in many jurisdictions worldwide. Google’s mission is to organise the world’s information and make it universally accessible and useful. The company has packed a lot into a relatively young life. Since Google was founded in 1998, they’ve grown to serve millions of people around the world. CompSustNet is a research network sponsored by the National Science Foundation through an Expeditions in Computing award. Twelve U.S. academic institutions led by Cornell University, along with many national and international collaborators, are exploring new research directions in computational sustainability. Interdisciplinary, multi-investigator research teams are focusing on cross-cutting computational topics such as optimization, dynamical models, big data, machine learning, and citizen science. These methods are being applied to sustainability challenges including conservation, poverty mitigation and renewable energy. Cosling is a service company in IT with a unique expertise in constraint programming. We develop software applications for process optimisation and configuration, tailored to your business needs. We service from the design of mathematical models to the implementation of application servers with intuitive graphical user interfaces, in order to get a turnkey solution for decision support. 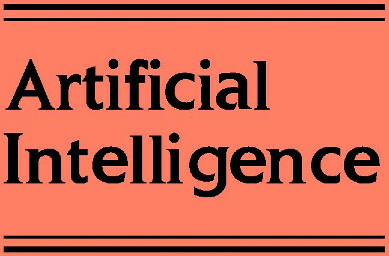 Artificial Intelligence, which commenced publication in 1970, is now the generally accepted premier international forum for the publication of results of current research in this field. The journal welcomes foundational and applied papers describing mature work involving computational accounts of aspects of intelligence. The European Association for Artificial Intelligence EurAI (formerly ECCAI) was established in July 1982 as a representative body for the European Artificial Intelligence community. Its aim is to promote the study, research and application of Artificial Intelligence in Europe. Founded in 2006, Redbubble is a global online marketplace powered by 400,000+ independent artists. A community of passionate creatives selling uncommon designs on high-quality, everyday products. Apparel. Stationery. Housewares. Bags. Wall art. And so on. Redbubble helps independent artists profit from their creativity and reach a new universe of adoring fans. For customers, it’s the ultimate in self-expression. A simple but meaningful way to show the world who they are and what they care about. In 2015, Redbubble reached over two million buyers, each finding a product that speaks just to them. In turn, independent creatives earned over twenty million dollars.